Royal Wheels India is an adventure travel group organising Karnataka Beaches Tour Packages. Not many of them but still the Beaches of Karnataka capture the place in the list of popular beaches in India. Two of them are Ullal and Suratkal; the major Beaches of Karnataka. Walk through the Karnataka Beaches and feel the thrill yourself. 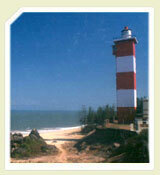 Just 5 kms from Mangalore, Ullal is a lovely spot for those seeking holiday by the sea. With its picturesque casuarina groves, beach cottages and a swimming pool one can spend tranquil hours seeking peace in this paradise. 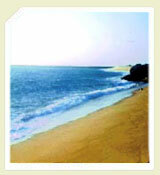 Suratkal, 15 Km from Mangalore, is an excellent beach with a wide shore to stroll on. Malpe is famed for its silvery beaches that offer breathtaking views of the sea. An idyllic resort for boating, fishing and bathing it lies 10 kms off Udupi and Manipal and around 386 kms from Bangalore. Udupi is at a distance of 60 kms from Mangalore.